Come journey through the imaginative and twisted tales of Edgar Allan Poe. Can you face the madness? 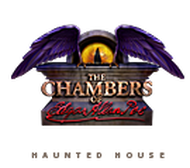 Witness the dark writings, tales, and poems come to life in the haunted Chambers of Edgar Allan Poe. Be a part of your favorite nightmarish tales like The Raven, The House of Usher, Rue Morgue, The Black Cat, and more! Experience the feelings of being buried alive, suffocating, or claustrophobia to the extreme. Are you ready to go from the screen to SCREAM? 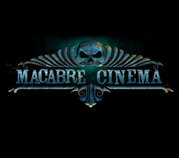 Welcome to the Macabre Cinema. Don’t just watch it, LIVE the action of classic and contemporary horror scenes on your 45 minute – one hour adventure through our haunted 1930’s movie theatre. Macabre Cinema continues the open format of The Beast Haunted House (opened in 1991) through more than 30 dramatic scenes housed throughout the 4 floors and, if you dare, the dungeon. 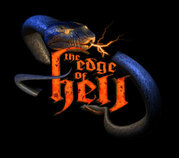 Founded in 1991, The Beastis America's largest haunted house. The Beast pioneered the "open format" design, where you're not in a line, you're wandering through the scenes, never knowing when a spook or an activated scene will rock into action. At the Beast, you are not just looking at the scene, you are part of the action!